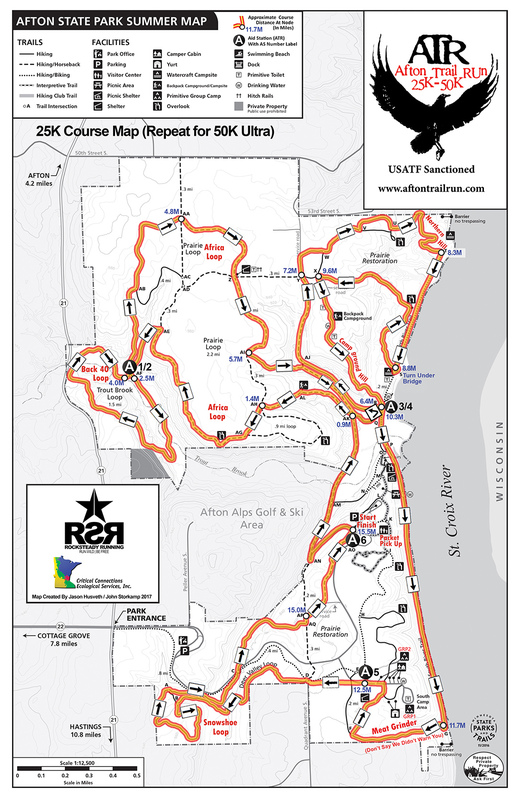 Below are course maps, elevation profiles, driving directions and more. Please be sure to review and print all items that you think you might need as we do not provide hard copies of these maps. IMPORTANT! 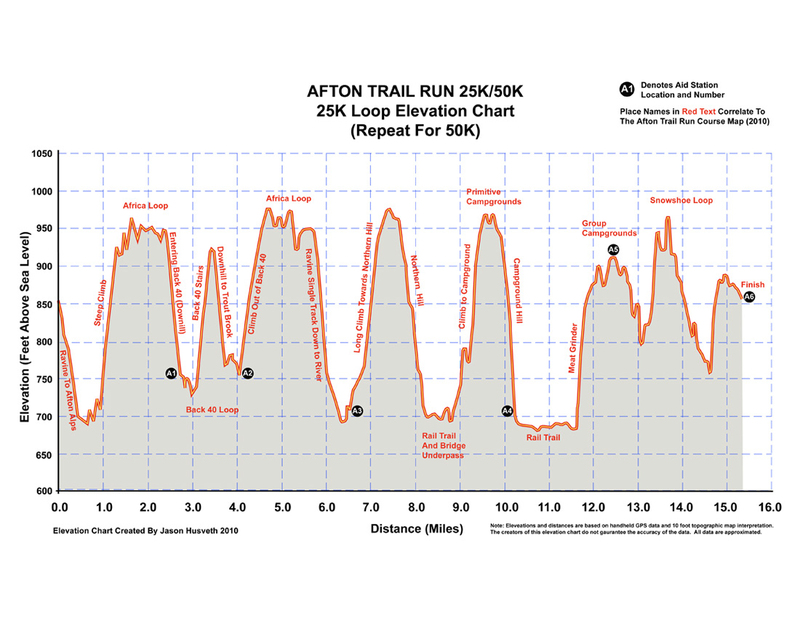 There will no longer be parking allowed on the side of the road within Afton State Park. Parking must be in designated spaces only. 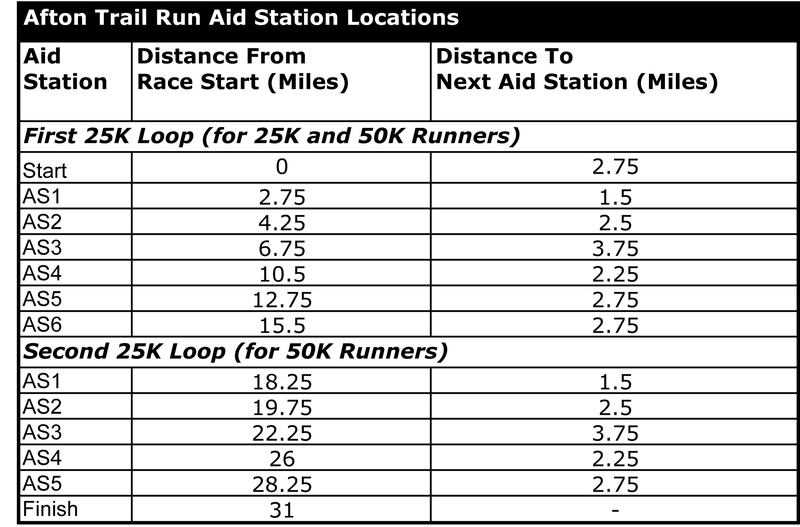 Additionally, a block of spaces within the park will be saved for non-race-related park users. 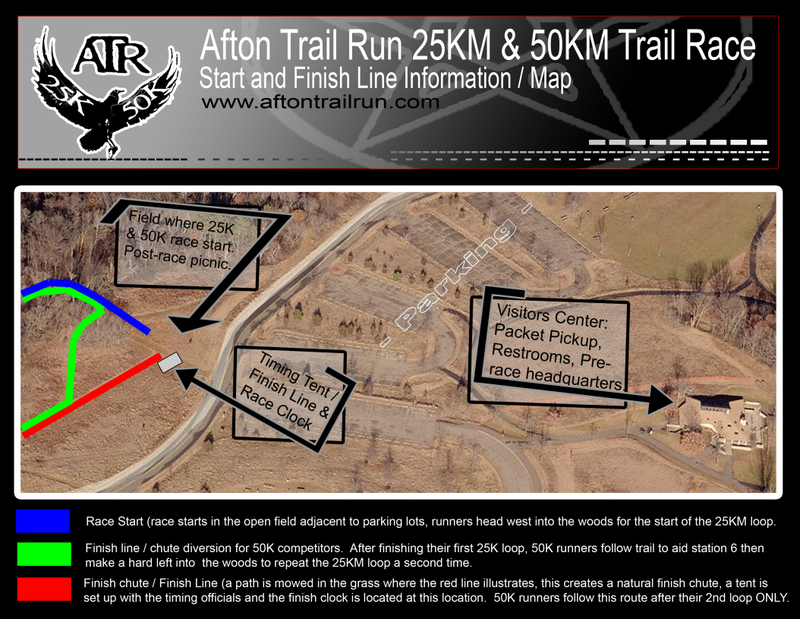 Parking within Afton State Park will be on a “first come, first serve” basis. 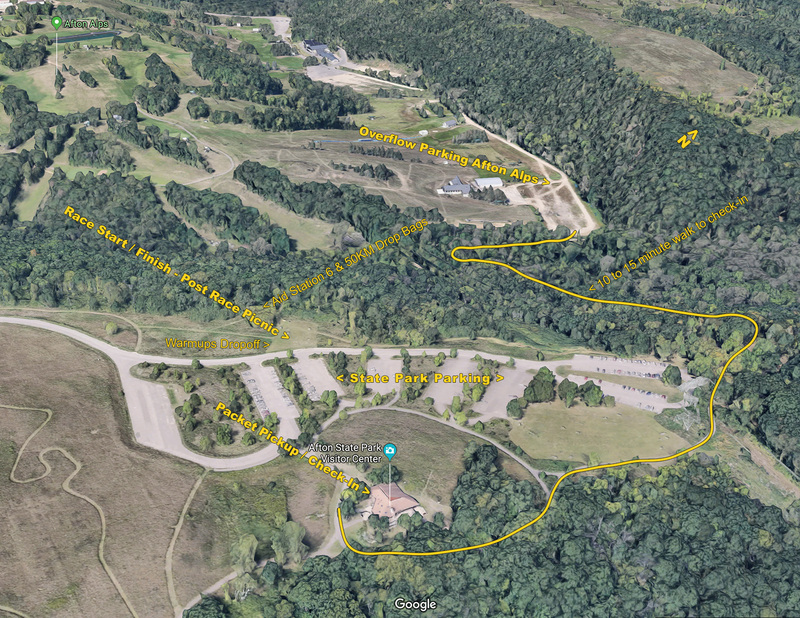 Once all of the parking spots allotted for the trail run within Afton State Park have been taken, racers will be directed by a flagger to enter Afton Alps Ski Area via Peller Ave South. You will follow signage to park in the Afton Alps Meadow Chalet parking lot which is at the very end of the road. 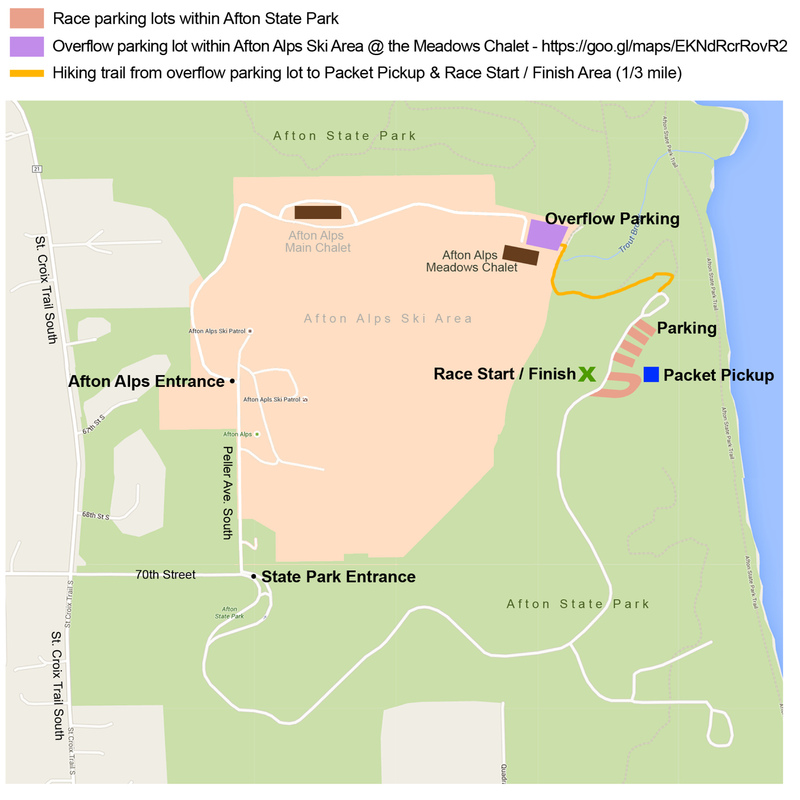 After you park, additional signage will direct you to walk 1/3 of a mile up to Packet Pickup and the Start / Finish Area. 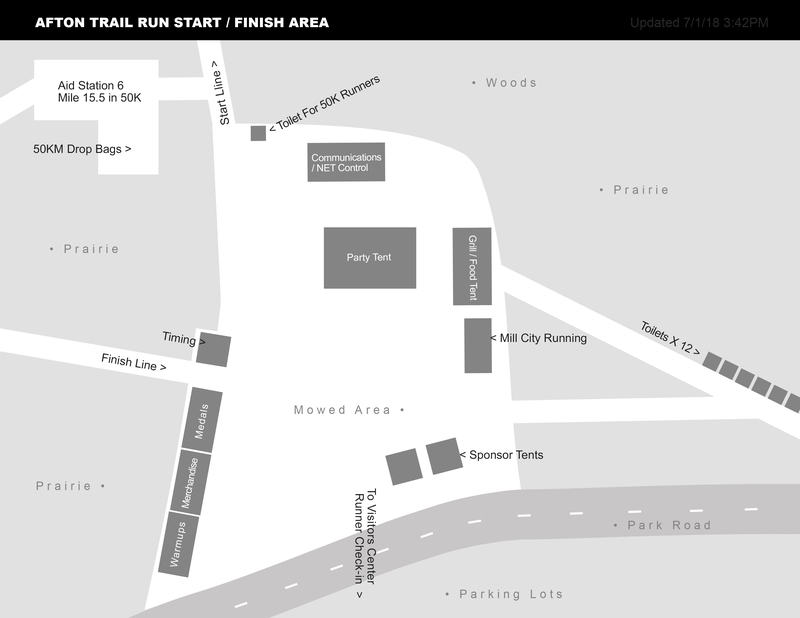 * Be sure to allow for plenty of extra time to park and walk to the start of the race!